MONTEBELLO — Scheduled to arrive in Montebello on Sunday, April 24, are Ken Yamanaka, mayor of Ashiya City, Hyogo Prefecture; Toshihiko Hatanaka, chairman of the Ashiya City Assembly; and about 20 other delegates representing the Ashiya Cosmopolitan Association (ACA). They will spend several days in Montebello to commemorate the 55th anniversary of sister-city relations. 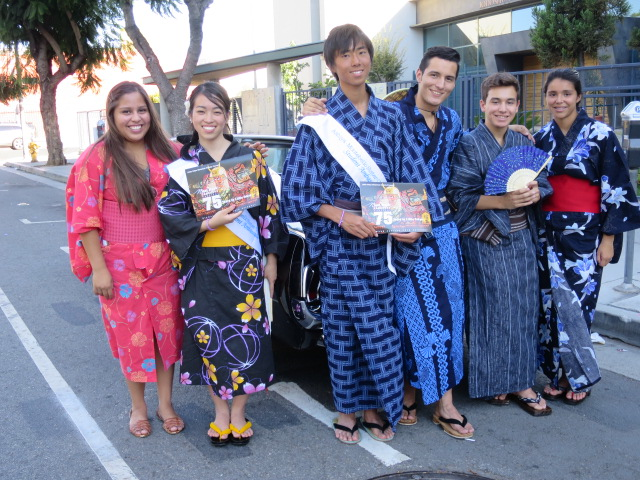 A delegation from Montebello will travel to Ashiya in November to celebrate the anniversary. Members of the Montebello-Ashiya Sister City Association (MASCA) will take the Ashiya group to a tour of Montebello, a meeting with Mayor Art Barajas and the City Council, a visit to a school, and a tour of Beverly Hospital as part of the Beverly Hospital-Ashiya Municipal Hospital Nurse Exchange Program. The Sayonara Dinner is April 26 at the Quiet Cannon in Montebello. In 1961, Montebello and Ashiya signed an international agreement as part of the “People-to-People Program” initiated President Dwight D. Eisenhower in 1956. Their respective sister-city organizations created the Student Ambassador Program in 1964 and have been exchanging two high school or college students every summer. MASCA recently named its 2016 Montebello student ambassadors, Astrid Herrera and Lily Perales, who will spend three weeks in Ashiya in July living with a number of host families. The new ACA student ambassadors, Mana Yamazaki and Yurie Saji, will arrive in August and stay with Montebello host families for three weeks. For more information, contact Michael Okamura at (626) 840-8409.